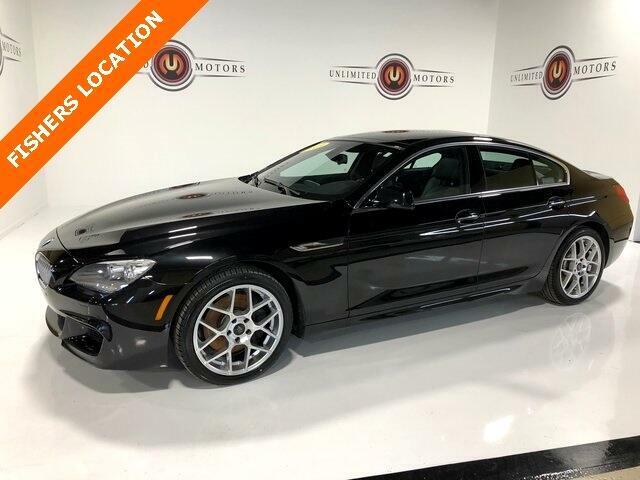 Navigation, Bluetooth, Back Up Camera, Panoramic Roof, Heated Seats, 6 Series 650i xDrive Gran Coupe, 4D Sedan, 4.4L V8 32V TwinPower Turbo, 4-Zone Automatic Climate Control, Active Blind Spot Detection, Active Front Seats, Brake assist, Cold Weather Package, Front Ventilated Seats, Heated door mirrors, Heated Front Seats, Heated Rear Seats, Heated Steering Wheel, Leather steering wheel, Luxury Seating Package, M Sport Package, Navigation System, Power Rear & Side Window Sunshades, Power Rear Sunshade, Premium Sound Package, Satellite Radio, Ski Bag, Sport steering wheel, Tachometer, Telescoping steering wheel, Tilt steering wheel. Clean CARFAX. Odometer is 13262 miles below market average! Priced below KBB Fair Purchase Price!